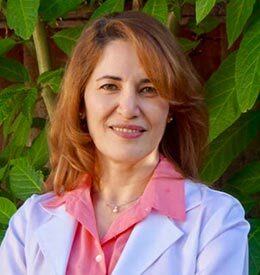 Maryam Kalami is a Doctor of Acupuncture and Oriental Medicine (DAOM) and Master of Traditional Chinese Medicine. She is licensed as an Acupuncturist and a Herbalist by the Medical Board of California and certified by the National Certification Commission for Acupuncture & Oriental Medicine. Kalami started her career in medicine as a registered midwife and then transitioned into oriental medicine. She also has a B.S in engineering and a B.S in Nutritional Sciences, both from the San Jose State University. She incorporates her previous profession as a Midwife and a Nutritionist to consult her clients routinely. As a former engineer in the high tech industry, she is familiar with the profession’s physical and emotional challenges and demands, allowing her to better care for her patients. Coming from a long line of healers and educators, Maryam is committed to constantly improving her skills in oriental medicine. In this spirit, she is certified in various acupuncture specialties such as Sports Medicine, Pain Management, Fertility, Cosmetic Acupuncture and Medical Qi Gong. She passes her knowledge in the area of advanced clinical nutrition to future generations of acupuncturists at Oriental Medical Universities. Kalami develops and implements a specialized treatment plan for each and every patient, providing practical life style modifications so her patients can take control of their journey to improved health and vitality!